Do you have a stash of beads that is taking over your craft room? Do you want to make a new bracelet but don’t want to make another stung bracelet? Then this weeks tip is perfect for you! 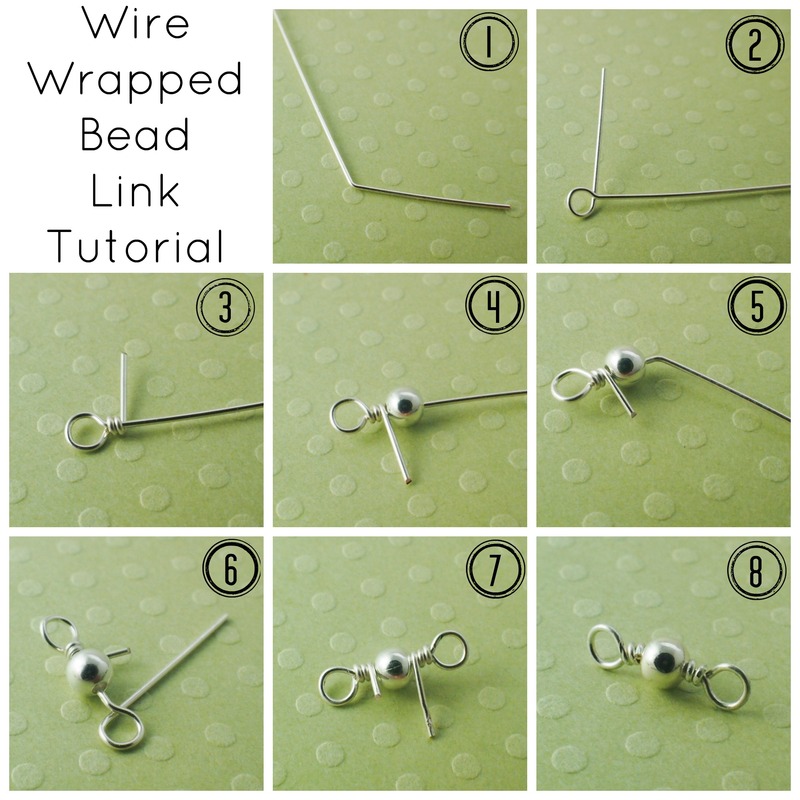 A wire wrapped link is the perfect way to use your beads in bracelets, necklaces, and earrings in a new and fun way! Straighten your wire and make a crisp bend about 1 inch from the end. Don’t make the bend any deeper than 90 degrees. Using a round nose plier or a 2-3mm looping plier, make a small loop with the short end of the wire next to the bend. Grasp the loop with a pair of flat nose pliers and wrap the short end of wire around under the loop for 2 wraps. Do not trim. Thread one bead onto the long end of the wire, sliding the bead to touch the wraps under the first loop. Make a second crisp bend 1/16th of an inch from the top of the bead. Form a second loop, the same size as the first. Trim the long end of wire to about 3/4 inch and set the remaining wire aside for the other wrapped links. Grasping the new loop with your flat nose pliers, wrap the tail end around 2-3 times. Alternatively wrap a little more of each side until the bead is held snugly in the center of the link. Now trim both tails of wire as close to the bead as possible and tuck them down to avoid snagging, and you are done!